Hi, the dwarf wall on my conservatory has got an area that is bulging and hollow. Assume fairly easy to hack off and spot repair but any ideas what may cause this? Pic here may give some ideas? 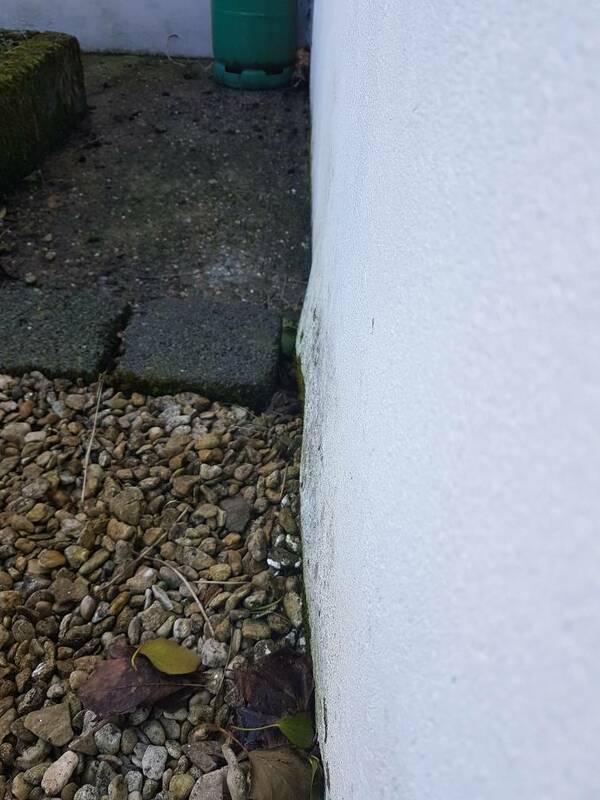 Is there a damp proof membrane on that wall, above ground level? I'm not sure, been here since we moved in. How could I check? How large is the area? Could it just be that rain water is splashing off the concrete slab on to the wall. 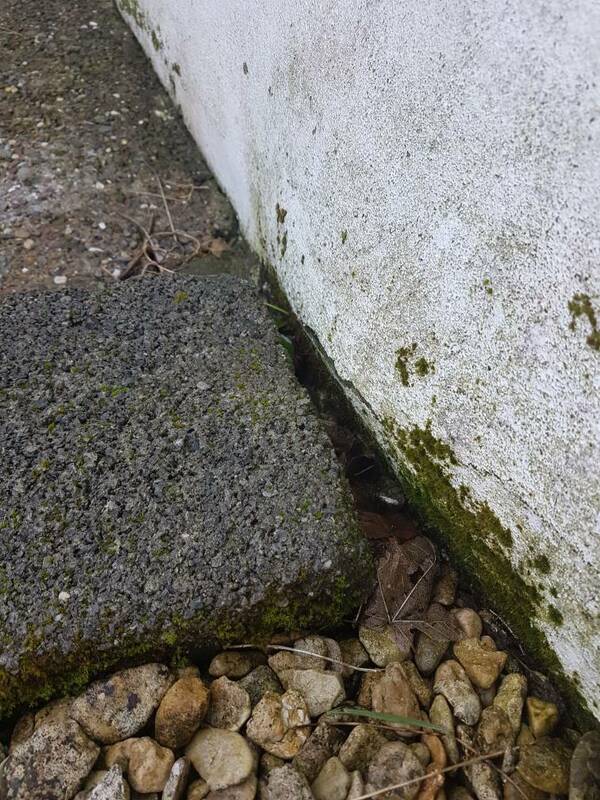 Any damp patches internally in the same area? Try knocking off the render and see what the state of the brick and mortar under it is. If you look at the brick work under the render, you might see a black line of plastic sandwiched between the bricks horizontally along the length of the building. Old buildings used to use slate (easier to see) and new builds use plastics. It's not very big 20 x 12" maybe. No damp internally. Will take off all the loose soon, is it ok leaving the exposed block behind once removed?